According to Women in Aerospace, in 2010, roughly 10 percent of the aerospace industry was made up of women. While the number has slowly increased, there must be reinforcements behind each step forward. 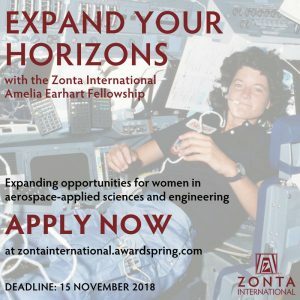 The goal of the Amelia Earhart (AE) Fellowship, established in 1938 in honor of the legendary pilot and Zontian, is to assist the future of women in the fields of aerospace-related sciences or aerospace-related engineering. 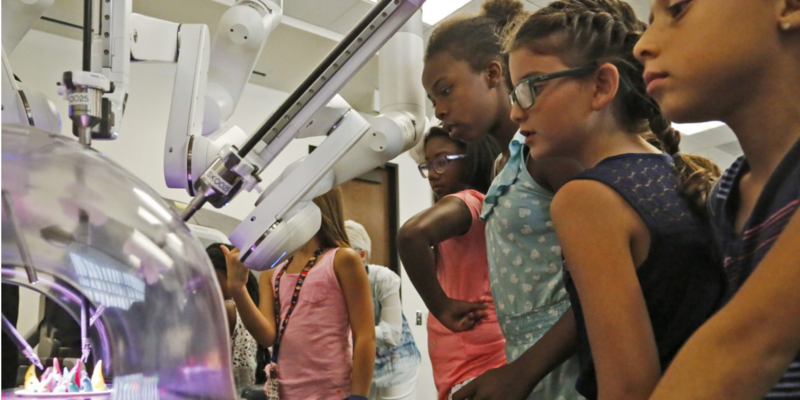 Each year, 35 talented women, pursuing Ph.D./doctoral degrees in aerospace-related sciences or aerospace-related engineering around the globe, are chosen to receive the US$10,000 Fellowship. Women of any nationality pursuing a Ph.D./doctoral degree who demonstrate a superior academic record in the field of aerospace-related sciences or aerospace-related engineering are eligible. Since the program’s inception, Zonta International has awarded 1,508 Amelia Earhart Fellowships, totaling more than US$9.3 million, to 1,079 women from 70 countries. These fellowships are made possible through generous donations to the Zonta International Foundation.